Prince George, B.C. – Police have a suspect in custody following two attempted child abductions in Prince George today. 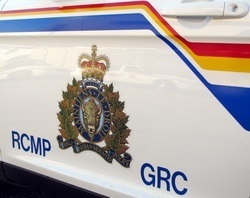 Around 10:30 this morning, Prince George RCMP responded to a report of a disturbance in a playground near 12th Avenue and Harper Street in Prince George. Police were advised that a man and a woman were fighting and the man was assaulting the woman. Upon police arrival, the man fled through a neighbouring baseball field where he was approached by police officers and subsequently arrested. Police determined the man had attempted to abduct a child from the playground and was intercepted by the female victim. Shortly after the arrest, Prince George RCMP received a report of another Attempted Abduction from 8th Avenue and Gillette Street, just a few blocks away. A man had grabbed a young boy who was with his mother. The woman managed to get her son back and fled to her residence.This incident occurred a few minutes before the first call to police and the suspect fit the description of the man already in custody. The suspect is a 35 year old Prince George man originally from Fort St. James, BC and will be held in custody at least until his first court appearance which is scheduled for tomorrow. Investigators are requesting all witnesses and any residents in the area who may have surveillance video to contact the Prince George RCMP at (250)561-3300. Free room and board for a few days, a hug and away he goes. Public stonings and beatings seem like the one thing Islam does right. So very thankful he was arrested so quickly, good work! In my book that lady is a hero. She done darn good! That’s scary. I’d try to break every bone in his body before the police got him if I ever caught him. A lot of our sickest criminals come from the Fort and area… something very unhealthy about that town and it’s culture that breeds a disproportionate number of these types.